A cookie is a small text file which is stored on your computer when you visit a website. Cookies are useful because they allow a website to recognise a user’s device. This can be very helpful for things like remembering your preferences, saving passwords, keeping track of your ecommerce basket, or ensuring you see only relevant adverts or messaging. 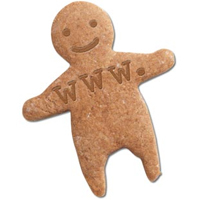 The cookies on www.comfyland.co.uk are not harmful and are used to make your browsing experience better by providing better site functionality and customised experiences.